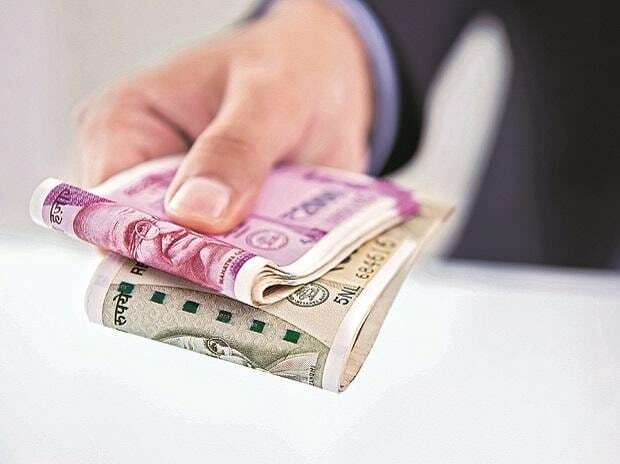 The domestic currency surged by 33 paise to close at 68.41 amid the greenback's weakness against key rivals overseas, even as oil prices firmed up on supply concerns. The rupee opened 12 paise lower at 68.53 against the US dollar on Thursday. The domestic currency surged by 33 paise to close at 68.41 amid the greenback's weakness against key rivals overseas, even as oil prices firmed up on supply concerns. It was the third straight session of gain for the domestic currency, during which it has strengthened by 89 paise. Nirmal Bang Securities in its daily currency report says, "On the daily chart, the USD/INR pair has marked a bearish candle indicating weakness in the pair. The pair is facing resistance at its 20-day SMA at 69.48. If the pair opens below 68.90, selling can be done towards 68.75-68.65 levels. However, buying opportunity can only be attained above 69 levels." Foreign institutional investors (FIIs) emerged as the net sellers in the capital markets on Wednesday, pulling out Rs 1,040.48 crore, as per the provisional data. On the global front, Asian shares held near an eight-month peak on Thursday as investors awaited developments on Sino-US trade talks, with both sides appearing closer to signing a deal and improved risk appetite weighing on safe-haven assets like the yen, Reuters reported. In the commodity market, Oil prices were mixed, with Brent edging higher toward the psychologically important $70 level.